The premodern flood of scholarly information. As people around the world struggle to master ever-rising mountains of data, generated by ever-new technologies, we're seeing a great flourishing of scholarship in the history of knowledge, research, and the book. From Adrian Johns' The Nature of the Book: Print and Knowledge in the Making (1998) to Matthew Battles' Library: an Unquiet History (2004) to Andrew Pettegree's The Book in the Renaissance (2010)—to mention just three notable works—major investigations of how our ancestors managed their technologies of knowledge have poured from the presses. This is to be expected, since our immediate concerns will always shape our inquiries into the past. And in this case that tendency is very welcome, though not without irony: we may soon be overwhelmed by books about how people have been overwhelmed by books. 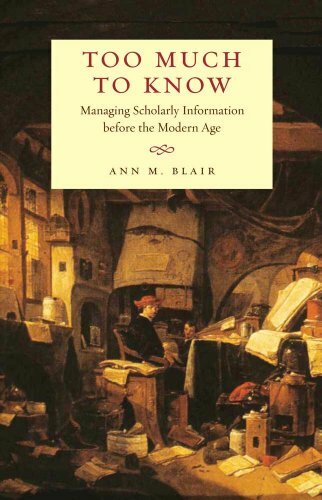 Ann Blair's long-awaited book on information management in the first two centuries of the print era is both a major work of scholarship and, in one small sense, a bit of a disappointment. Faced with her own task of information management—she had to master an extraordinarily large and complex body of material, and to deal with developments that have major consequences for today's intellectual culture—Blair has chosen a relatively modest and circumscribed approach. 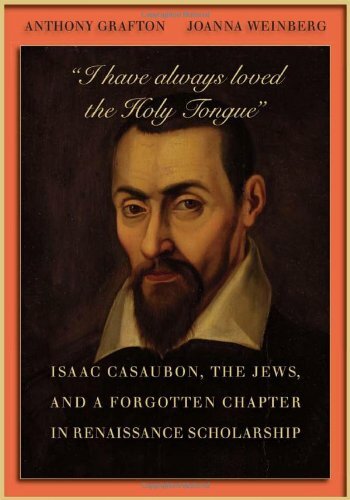 She does not attempt to account for all the ways that early modern scholars dealt with "information overload"; and she mentions her story's implications for our own technologies of knowledge only in a four-page epilogue. But this modest approach may have been a wise choice: Blair clearly indicates the paths that future scholars will need to follow, and she has blazed the first trails very well indeed.